PRAYER PROMPT ••• “What if” may be two of the most dangerous words in our vocabulary. It’s a phrase that seems innocuous enough, but can be a tool of Satan to prevent us from growing in faith. “What if” sets up for longing for what we don’t have or didn’t do, and shifts our focus from the blessings we have in front of us. It prevents us from seeking God’s plan for the future because we’re too busy second-guessing the past. If we’re not careful, those two words can create a spirit of resentment and rebellion. Their what-if-thoughts distracted them from the freedom God gave them and the gift that He has planned for them. I wish I could tell you I have this “what if” stuff under control, but I don’t. 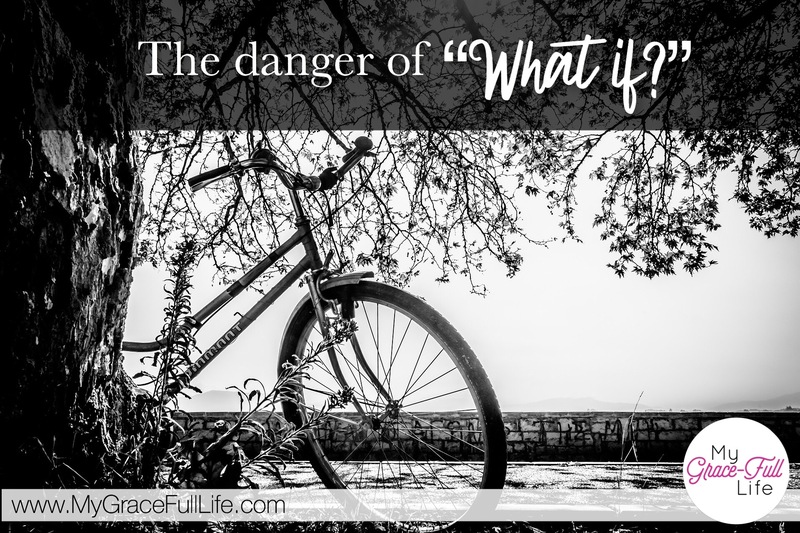 I have a “what if” that plagues me and I wonder about the choices I made as a mother. If we could stop looking at life through the rearview mirror with “what if” questions, we’d be able to focus more on the “what” God has planned instead of imagining scenarios that have no purpose. Today, as you pray, ask God to help you shed the “what ifs” that stall you from growing closer to Him. Ask Him to help you lay aside those questions and simply trust in His good plan. Ask Him to help you stop beating yourself up with “what ifs” that are causing you harm and preventing you from growing in your faith.